Tiger Woods had six birdies in his opening seven holes during his third-round. ATLANTA — Tiger Woods is three shots ahead and one round away from capping his comeback season with a moment that has defined his career. Woods played the most dynamic golf he has all year Saturday with six birdies in his opening seven holes to build a five-shot lead. He cooled from there with a few mistakes and had to settle for a 5-under 65 and a three-shot lead over Rory McIlroy and Justin Rose in the Tour Championship. He has the 54-hole lead for the first time since his last victory in 2013 at the Bridgestone Invitational. He has never lost an official tournament when leading by more than two shots going into the final round, and his closing record with the lead is 42-2 on the PGA Tour. Woods has never been in better position to show he's all the way back from four back surgeries that once made him fear he might never play again. 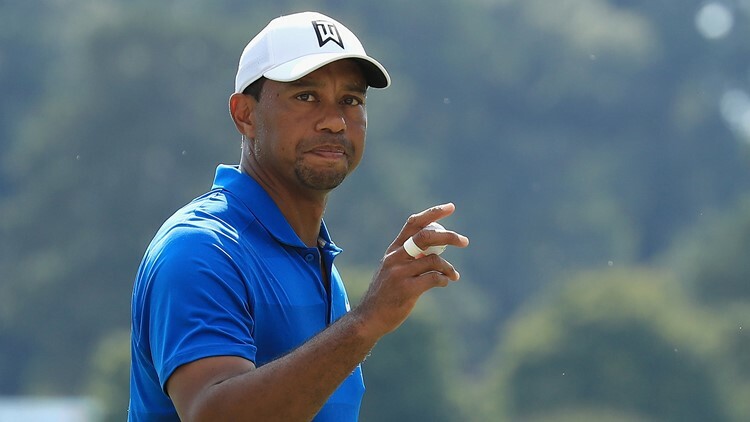 Tiger Woods of the United States acknowledges the crowd on the eighth green during the third round of the TOUR Championship at East Lake Golf Club on September 22, 2018 in Atlanta, Georgia. Woods has gone more than five years without winning. He also has won enough times — 90 tournaments around the world — to remember how to do it. The start was simply mesmerizing.